What's so special about this little old Chev? 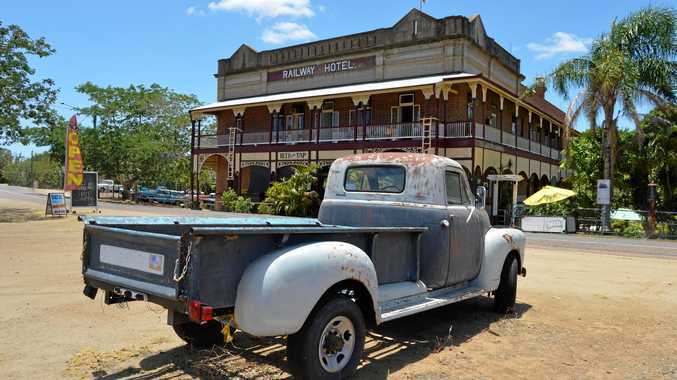 A 1954 Chev pick-up truck, which used to carry vegetables to Los Angeles in America, is now a wonderful attraction outside the historical Railway Hotel at Ravenswood in Queensland. The Chev is parked across the road from the pub, which was built in 1902 and is owned by publican Terry Dalby. "I came across it at Bakersfield in California about four years ago and followed a fellow on a pushbike to where it was and bought it for $2700 US. It was shipped out here and I took over the Railway Hotel 18 months ago,” Terry said. Ravenswood is a former gold mining town that used to have more than 20 hotels in the late 1800s. These days it has the Railway and another historic hotel, the Imperial, also built in 1902. I visited Ravenswood on November 22 and enjoyed snapping pictures of the Chev, which is in working condition but not currently registered. "We get a lot of comment about the truck,” Terry said.